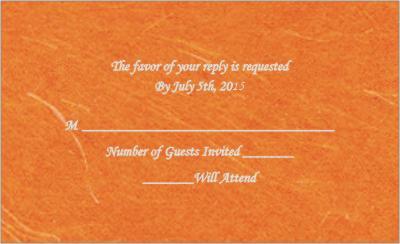 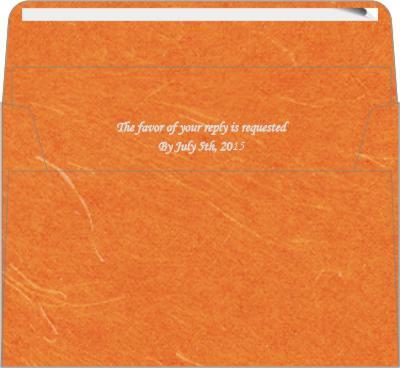 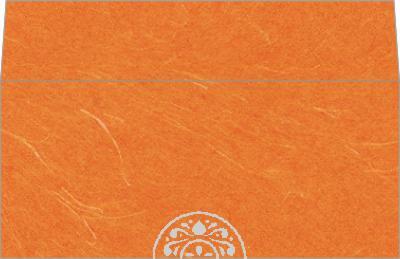 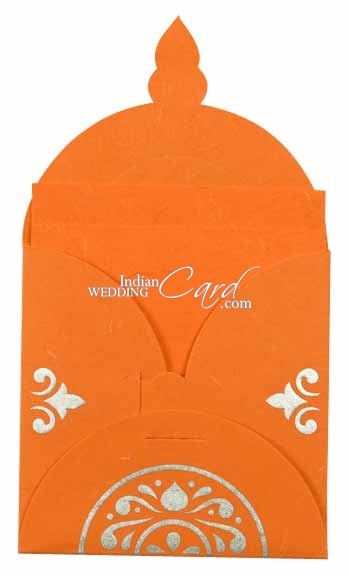 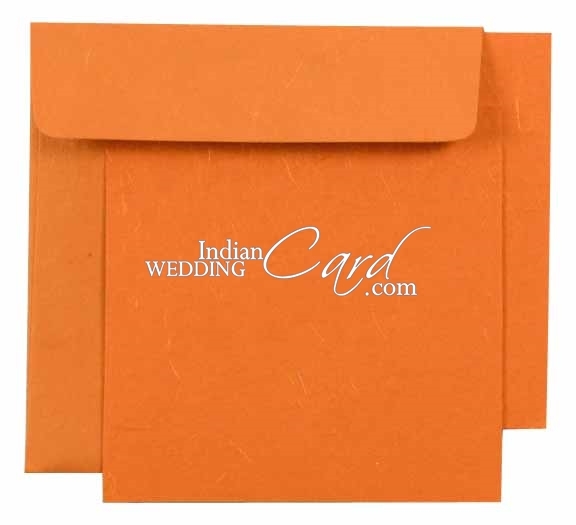 Paper: Orange color silk handmade paper (200 gsm) for handkerchief style card, 2 inserts and mailing envelope. 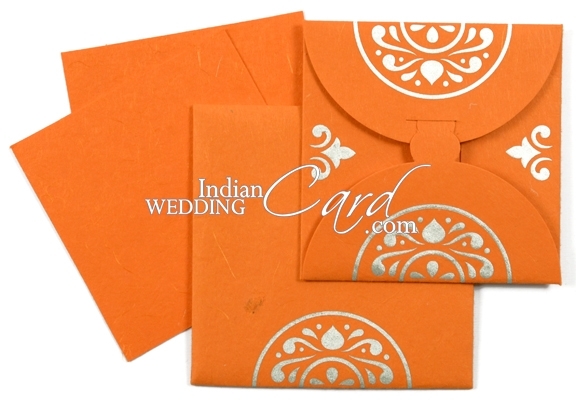 Description: This Handkerchief type-folding card with interlocking system has silver printed and embossed pattern on front. It holds the 2 inserts. 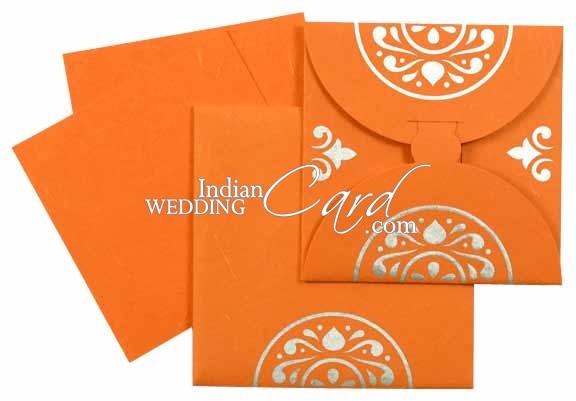 Mailing envelope also follows the same pattern. 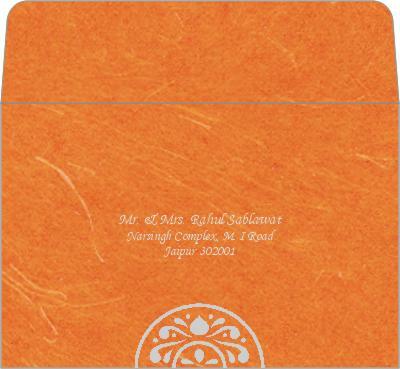 We recieved the samples in perfect condition and very promptly.Your Website is superb,workmanship classy,and service exemplery.We intend to use your services in the future and recommend you highly to our friends. 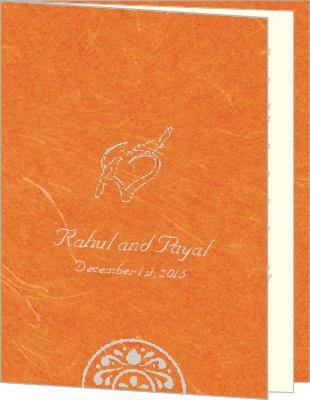 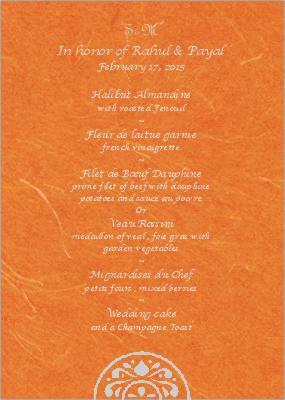 We have received all the items sent and are very happy with the wedding invitation. 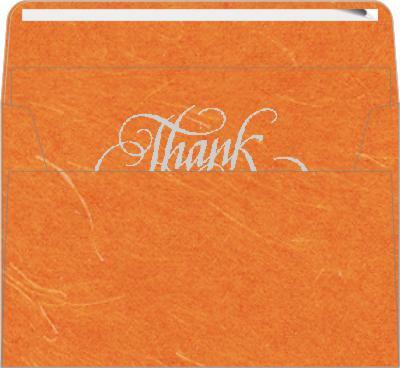 Thankyou very much for all your help.You have done an excellent job.